Join us in the Downtown Plaza at 6th Street & Central Avenue for a visit with Santa! 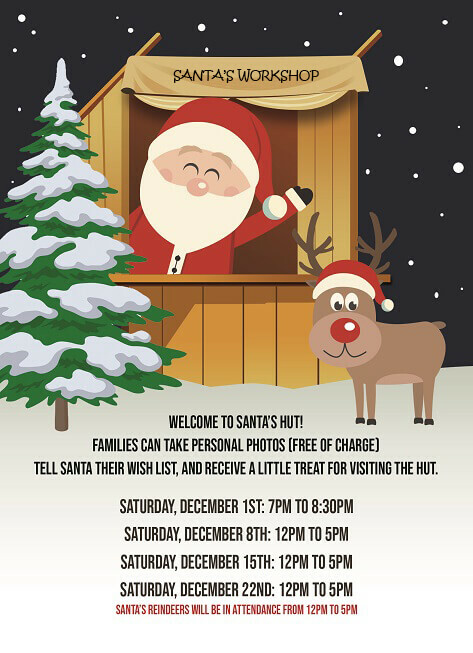 Take your own free photos, tell Santa your wish list, and receive a treat for visiting Santa’s Workshop (while supplies last). 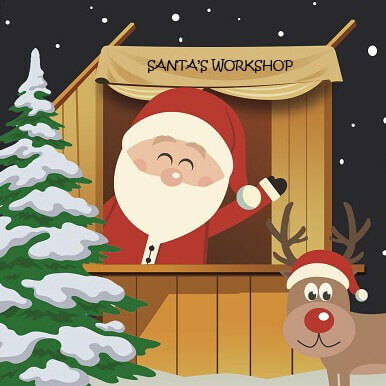 Santa’s LIVE reindeer will be in attendance on Saturday, December 22nd, 2018 from 12pm-5pm! Happy holidays from Downtown Tracy!